Sarah MacVicar, an M.Sc. student from McGill University is in Uganda conducting her thesis research with Vivienne Steele, a Research Assistant from the University of Guelph. 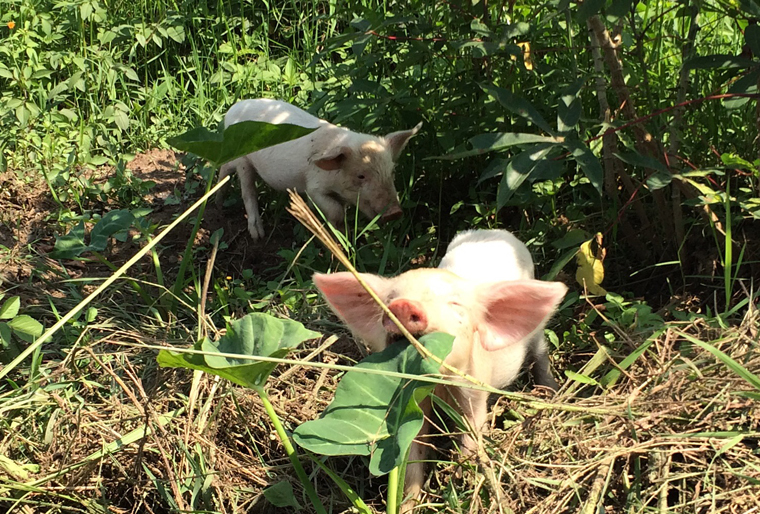 Here is their second update from the field! 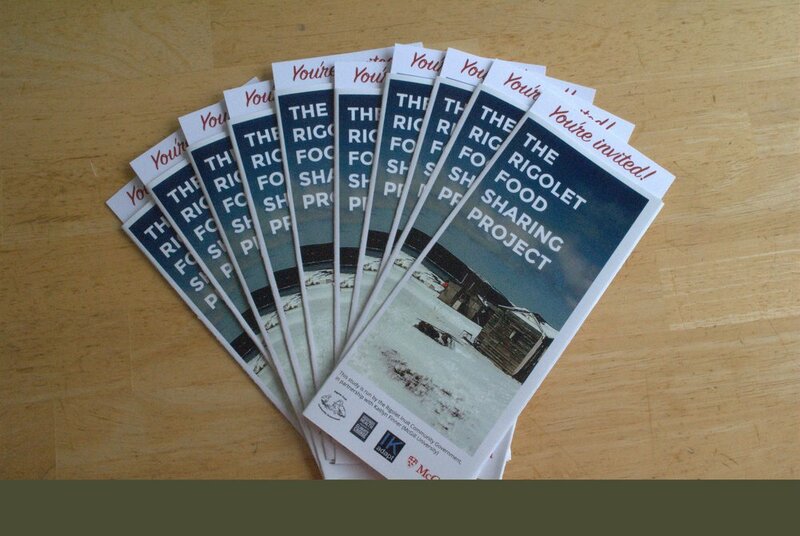 Text and photos by Vivienne Steele and Sarah MacVicar. 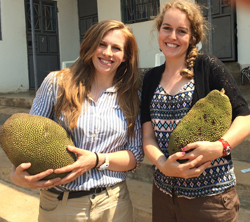 Other gastronomic experiences: Sarah tried jackfruit for the first time and loved them! We will definitely be having more before departing. 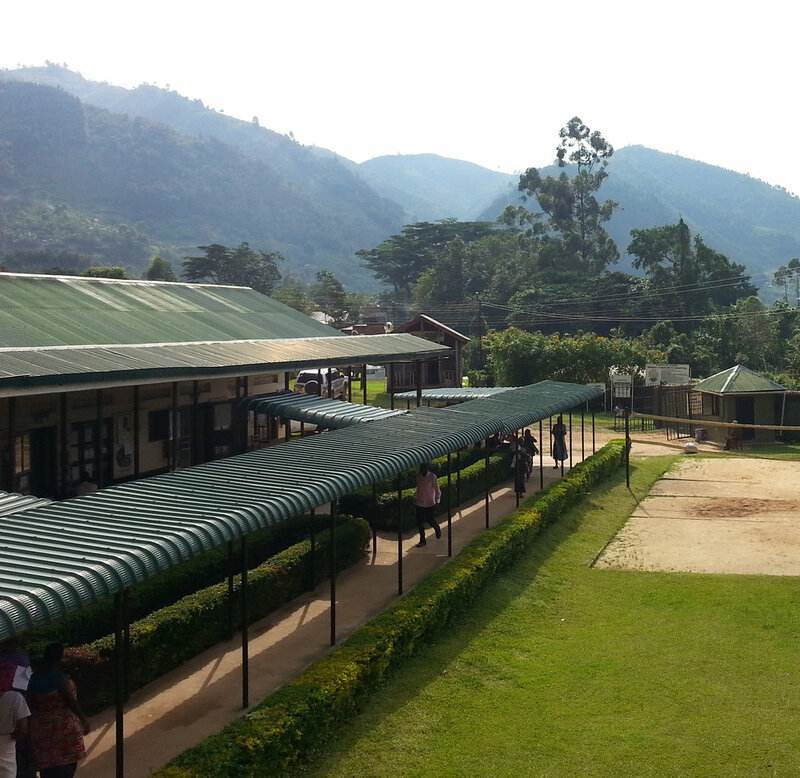 We also had supper at the Bwindi Community Hospital’s guest house, which was a great opportunity to interact more with folks from the hospital. We are looking forward to our remaining time here, with an upcoming visit from our supervisors Professor Berrang Ford and Professor Harper! They will be here with and with several other IHACC PI’s—Didacus Namanya, Dr. Lwasa, and Professor Ford. We will be continuing data entry at BCH and doing a few more key informant interviews as we wrap up our research over the next few weeks. Arriving for an interview in the Shawi community of Nuevo Progreso, Mya Sherman and I are greeted by the entire family. Catching the family while they are home during the day can sometimes require a few visits, as the whole family unit frequently goes together to work in their chakra (agricultural field), which can be more than an hour’s walk away. When we are lucky enough to find a family, we are immediately invited to sit down. A clay bowl called a mocahua is soon presented to each of us and we begin to consume the masato that lies inside. The culture of masato is one that permeates Shawi culture in the Alto Amazonas region of Peru. Masato is a fermented beverage made of yuca (cassava) and other starchy vegetables. It is a dietary staple for many indigenous communities in this area. The woman of the household ensures that there is always a healthy supply of masato to generously offer to any guest, be it a neighbor or a foreign researcher. The term ‘masato’ translates culturally to mean ‘friendship’, so it becomes a necessary part of life when conducting research with Shawi populations. Masato is surprisingly cool, a respite from the often oppressively strong sun. The drink begins as roughly chopped yuca (cassava), which is boiled and mashed (or chewed—a lot of work either way) to break down the fibers, then mixed with water and occasionally other vegetables. The resulting liquid is fermented for anywhere between one and seven days and served through a strainer into a mocahua to be consumed. Participating in the masato ritual with families made us quickly feel welcomed and like locals, yet we were instantly reminded that we were indeed visitors when we were forced to sneak away for some antacid to combat the heartburn associated with this acidic beverage. The woman who serves me the masato is giving me a scrutinizing look, so I try to reply with “thank you, sister” in Shawi, the local language. She smiles, but that may be because I stuttered with the beginnings of “thank you, brother” before finding the proper word for “sister”. We settle into some conversation with the help of our research assistant’s translation, and soon we are learning new words in Shawi and telling our hosts about our families and hometown. I wasn’t expecting to feel much deja-vu in Peru, but we had experienced a similar cultural exchange several times in the Batwa settlements of southwestern Uganda. For the past few months, Mya Sherman and I have been working with several IHACC communities as part of the Evaluating Indigenous Vulnerability and Adaptation Research (EIVAR) Project, the monitoring and evaluation sub-project of IHACC. Our work so far has taken us to the 10 Batwa communities in Kanungu District in southwestern Uganda and two Shawi communities in the Loreto province in the Peruvian Amazon, with plans to travel to the Canadian Arctic later this fall. In April, we left home for the beginning of a four-month field season to spend roughly two months in Uganda and two months in Peru. We are conducting interviews and focus groups with IHACC researchers, field assistants, community members, and partner institutions to understand their perspectives and experiences working with the IHACC program since its inception in 2010. Our work aims to uncover the tangible and intangible impacts of this 5-year interdisciplinary research collaboration and to identify best practices and lessons learned for this type of community-based adaptation research. Last Saturday, we completed our work with the community of Nuevo Progreso and presented our preliminary results to the community. Sharing these results directly with the community is important to showcase what we were doing in the community this past week, and to make sure that the information we collected was interpreted correctly. As we were preparing our presentation, our research assistant Elvis came to find us and invited us to join the community members resting from the obra communal—communal work, where all males in the community spend several hours working for the well-being and maintenance of the community. We were invited to sit among the circle of men as the women of the community each circled around offering masato to all of the resting workers, ourselves included. Mya and I began to identify the different variations that the women had prepared: some using just yuca, some adding camote (sweet potato) or papa morada (purple potato). As we came together to talk (mostly about the Peruvian national soccer team, who had just achieved a 3rd place finish in the Copa America) and to share masato, the beauty of what was happening became clear. Even in a village lacking power, water, and many of the “comforts” one finds in cities or developed areas, the sense of community and tradition was more alive here than in most places I have lived. The people were enthusiastic about the research we had tried to accomplish, which was noteworthy since monitoring and evaluation is among some of the more academic topics that could be brought to the community. After sharing one last meal with the community, we left with a warm send-off and fond memories to take into the rest of our fieldwork.